Have you ever been certain you missed a call, only to check your pocket and find no notification? Ghost vibrations are real, they are a sign of electromagnetic sensitivity in your body. Building Biologist Jasen Masek explains how your external environment has an impact on your internal biology. And how removing the toxicity from your world doesn’t mean throwing away your cell phone. 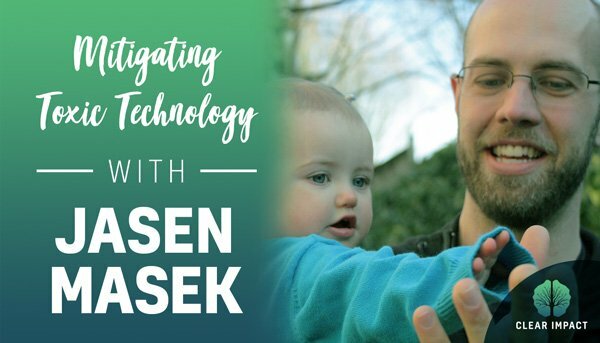 Today we’re excited to welcome Jasen to chat about everything from the magnetic charge of your desk lamp to the best place to put your wifi router. Learn how your gadgets might be affecting your productivity. The difference between magnetic and electric currents. What a “Building Biologist” is and how they can help improve your health. Where the worst place to sit is in the office. How dealing with toxic technology doesn’t mean getting rid of your tech. Which swedish company makes the best mattresses. What is the most common symptom of the toxic elements of technology. The first step to take to educate yourself on how to improve the tech in your life.